Since June 1955, Saint-Émilion’s decision to reclassify its châteaux approximately every ten years has been both a blessing and a curse. Unlike the 1855 classification, it accounts for change. But it is not without controversy. Case in point, the 2006 classification prompted legal action that successfully overturned the proposed new ranking. It is impossible to exaggerate the positive effects of official promotion: a validation of time and investment, a mandate to increase prices but above all, the right to stand alongside châteaux that up until that point, occupied a higher station. To put a pecuniary slant on it, promotion instantaneously adds million of euros to a château’s real estate value. On the other hand, not unlike the English football league, relegation can be catastrophic and recovery prolonged over many years, if at all. There is no chance of “bouncing back” next season unless you take legal recourse and even then, your reputation risks being blemished. What happens when demotion is conceded, and what about the human impact? The most high profile case is that of Beau-Séjour Bécot. Although given its consistently high performance in recent vintages, it is almost forgotten about. 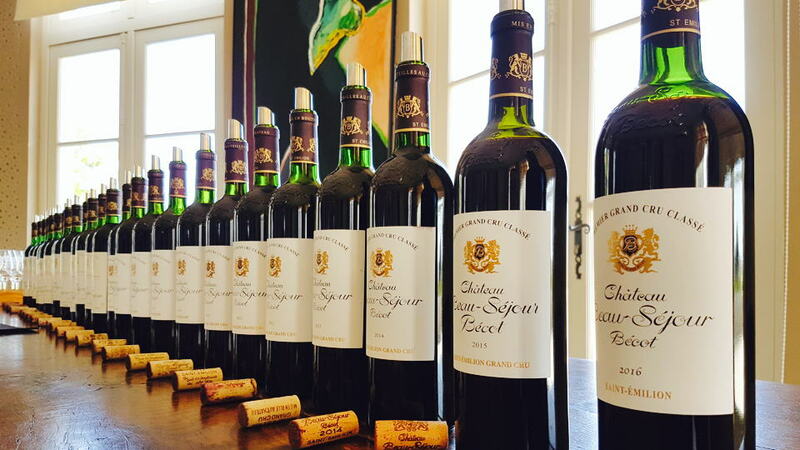 I recently spent a crisp sunny morning at the estate in order to undertake a long-discussed vertical of Beau-Séjour Bécot from the first releases by Michel Bécot until the recently bottled 2015. I wanted to discover more about the estate’s terroir, the family and their winemaking ethos with proprietor Juliette Bécot and her husband Julien, and Juliette’s father, Gérard. This is the story of Beau-Séjour Bécot’s genesis and traumatic loss of status from a human perspective. It is a story of how the estate regained classification as a Premier Grand Cru Classé “B” and how a new chapter is opening. I ask co-proprietor Juliette, granddaughter of its founder, about the origin of the estate because it is a recent arrival compared to its peers. That might be surprising because its roots date back to 1787, the year that Jacques de Carles de Figeac, a military man in the Bourbon army, christened his land “Beau-Séjour”. The name translates as “lovely stay” and you can understand when you take in its panorama from its highest point. The property was first divided in 1869 whereupon the southern half eventually became Beauséjour Duffau-Lagarrosse. In the 18th century Château Beauséjour was rated highly by the Féret guide. In the 1898 edition for example, it is ranked behind only Ausone and Belair, then owned by one Léopold Ducarpe and producing 18-tonneaux per annum. You can also find amongst the 1er Crus a “La Carte” that was owned by Pierre Nouvel, who also owned Château Mazerat over towards Angélus. It would be exactly a century before the present incarnation of Beau-Séjour Bécot came to be. Before recounting the consequences of his decision to blend Trois Moulins into the Grand Vin, I would draw attention to the 1874 edition of the Féret guide to châteaux. On page 288, just below Clos-Fourtet, one finds Trois-Moulins, then owned by Duplessis-Fourcaud, attesting its high ranking amongst cognoscenti. Féret notes how it occupies one of the highest points of the plateau with a mamelon or a knoll in the middle of the vines where the view stretches to the horizon. The guide continues promulgating the virtues of the wine. Reading this tract of text, I can easily understand exactly why Michel Bécot would see no reason why it should not be part of his Grand Vin, if anything, to improve the wine. Michel had submitted his wine to the appellation syndicate each year and it had been accepted. However the INAO, doubtlessly piqued that Michel had never officially applied to certify the entire vineyard Premier Cru and determined to uphold the stratification of Saint-Émilion, took a punitive stance. This episode predates her own arrival at the estate and so I asked Juliette about her own route into wine. I first met Juliette Bécot around 2002, not long after she had graduated from her studies in agronomy. She was bubbly and fun, all rosy cheeks and huge eyes and permanent smile. Looking back, she presaged the next generation of Bordeaux winemakers that are more open and approachable. In those days, she was often chaperoned by friend and neighbour Jean-Antoine Nony of Grand-Mayne. Together they were like the naughty schoolkids, often dispatched overseas to pour their wines at tasting, always with one eye on where the party might be that evening. Of course, we all grow up and Juliette is now married with children, though she has retained her almost childlike sense of fun that can be crucial when handling the responsibility of running the family estate. Earlier this year, the baton was handed over to Juliette and her husband Julien Barthe, a native of the Basque region, who previously worked for François Lurton. I asked Juliette if she thinks there are differences between she and Julien and her father and uncle. Beau-Séjour Bécot is located all but a five-minute walk from the village of Saint-Émilion, tucked away just behind neighbour, Clos Fourtet. Due to acquisitions over time there are three châteaux buildings: Beau-Séjour Bécot itself, plus La Carte and Trois Moulins. Before inspecting the surface, I ought to mention what lies underground. 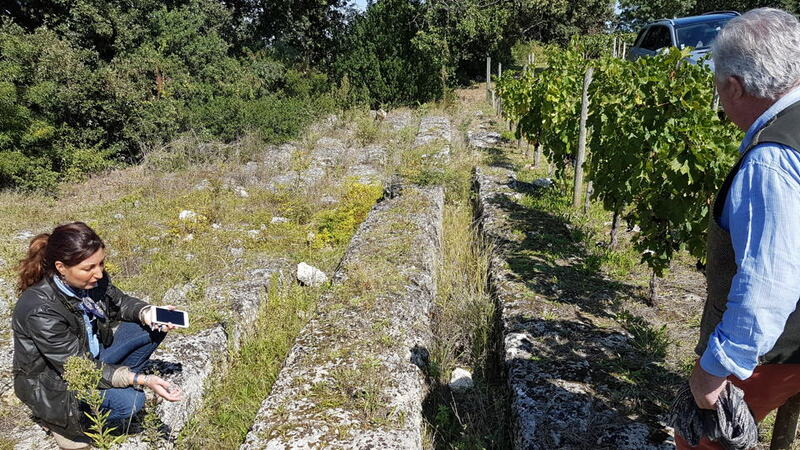 Like many properties within the ambit of the medieval village there is a quarried, subterranean labyrinth that provides ample perfect storage for the estate’s library stock. Indeed, this is one of the few properties that has maintained healthy of reserves of older vintages, the most ancient being a surviving bottle of 1849 La Carte. 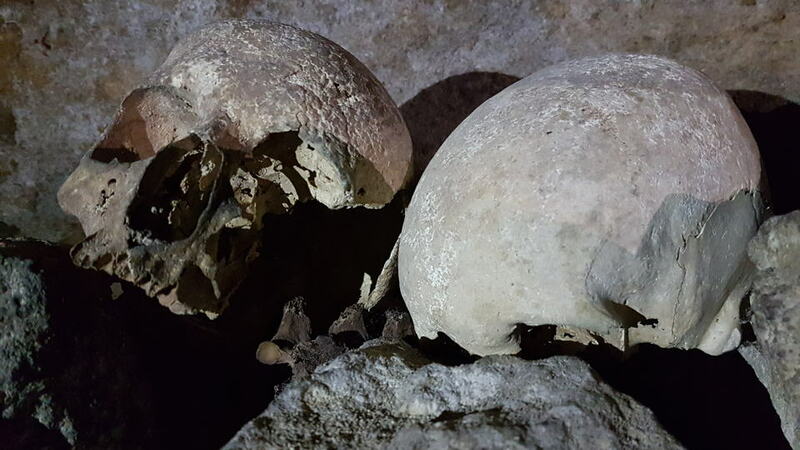 The tunnels are well worth visiting, not least for their beautiful stained glass illumination and for the more macabre, innumerable bones and skulls of locals buried here in times gone by. One tunnel is actually connected to that of Château Canon. Juliette told me she remembers her father reconnecting them and waving to erstwhile manager John Kolasa on the other side. Some of the tunnels have been blocked off since in the 1980s after criminal oenophiles snuck inside and stole a stash of bottles. The most amusing story (though probably not at the time) is when Juliette and her friends got lost in this disorientating maze. To give you some idea of its size, it took them six hours to find their way out. Still, if they had been stranded, at least there would not have been short of wine until the search party found arrived. How about their approach to sorting as the fruit comes in? Moving into the winery, I ask Juliette about the vinification. “We vinify plot by plot. For the alcoholic fermentation we use 70-hectoliter, temperature-controlled, stainless steel inverse conical steel-vats. We use infusion methods with pigeage and “donuts” (large rubber rings used to submerge the cap, as seen at Les Carmes Haut-Brion for instance) for gentle and progressive extraction. During the maceration, the berries and the must are protected from oxidation by the immersed cap of skin and so we no longer use SO2 (in that part of the process). In the past we had exceptional aromatics from the beginning, all the way up to the end of fermentation. But I was a little frustrated because I felt the aromatics on the final wine was not as pure or intense. Then I recalled my grandfather saying to me: “When it smells good in the cellar, it means that it is not so good in the glass.” He was right. We work now on Beau-Séjour Bécot and Joanin Bécot with this "infusion method" to capture and keep these aromas until bottling. In 2017 we did the pumping over by hand and avoided SO2 in order not to alter the bouquet. We are fully engaged in this new way of working and I feel very much in agreement with this philosophy. The birth of this vintage (2017) was a great pleasure and I am delighted with the progress in maturing the wine using less wood with lighter toast and for the first time, amphorae. We have three 8-hectolitre amphorae that are heated to very high temperatures to reduce porosity, so that it is a totally inert vessel that helps preserve quality, purity and freshness of fruit. This year we bought a 20-hectolitre foudre in order to have a new ratio between wood and wine, which is not “chauffé” (charred). We use around 60% new barrels with a light toasting.” There is a second wine, “Petit Bécot”, although personally I have never tasted it. This was an insightful vertical tasting that spanned the very first vintage made by Michel Bécot however, I was also treated to a bottle of 1947 La Carte from Gérard Bécot’s personal cellar. Incarcerated in a blue-tinged bottle, common at that time, it had certainly survived over several decades, even if it lacked the finesse of other 1947 Right Bank wines that I have encountered over the years. The phrase in my tasting note, “like a lost signal from the past”, encapsulates a wine that whilst not a sensory revelation was a beacon from an estate consigned to history following its amalgamation with the original Beau-Séjour estate in 1969. The oldest bottle of Beau-Séjour Bécot was the 1970 (I am unsure whether a 1969 would have been made given the timing and the poor growing season). Funnily enough, the bottle served at the vertical had seen better days however, two subsequent bottles were far better, still with adequate, slightly rustic red berry fruit, rough hewn tannin but plenty of body and freshness. Maybe there is some bottle variation? Anyhow two out of three bottles performing well suggest that Michel oversaw a fine 1970 Saint-Émilion. I have to be honest and say that the ensuing vintages felt rough around the edges, too rustic and lacking the vigour of its peers. The 1975 was probably at its best, and though the 1976 Beau-Séjour Bécot was slightly better than I expected, it is not a bottle that I would rush out and buy. Leaping forward, the 1985 Beau-Séjour Bécot, the final vintage before de-classification, was not too shabby but lacked freshness and roundness. Matters improve with the 1989 and 1990, a sign that much-needed investment in the winery begun their positive affect, in particular with the 1990, even if there was still some way to go. In my opinion, the late 1990s saw Beau-Séjour Bécot maintain a higher level of consistency compared to older vintages, but the quality did not really kick up a gear until the 2001 Beau-Séjour Bécot. It is almost as if this was the vintage where the potential of the terroir is finally recognized. Here was the first sensation of mineralité that ought to be palpable given the limestone soils, as well as a sense of harmony unseen up until that point. Then you have the 2003 Beau-Séjour Bécot. I am not a huge fan of this vintage, particularly on the Right Bank, however this was better than I expected and demonstrated more freshness that I anticipated, doubtless because of those limestone soils. It is really over the last 10 to 12 years that Beau-Séjour Bécot has started achieving the levels one would expect given its propitious terroir. The 2005 Beau-Séjour Bécot boasts greater purity and density without compromising the delineation, the 2008 is exemplary for the vintage and should not be overlooked by the 2009, while the 2010 Beau-Séjour Bécot is arguably the best to date. The 2014 and 2015 Beau-Séjour Bécot also deserve mentioning, auguries that the wine is beginning to find greater finesse and precision, something that had been missing in the past, another step up in quality. Recent vintages have a leitmotif of “sensuality”. Whereas vintages in the 1980s and 1990s were more robust and solid, those post-2009 have more comeliness, harmony and persistence, as if the wine has finally settled into its groove and found its mojo. No, it is not yet reached the heady heights of say Château Canon or Ausone, however, you can certainly feel the terroir finally being translated into the final wine. In a sense, looking back over the wines you can taste the long-term progress of a Saint-Émilion that took a hard knock in 1985 when it had to swallow ignominious demotion. Sometimes it is easy to forget the collateral damage events such as this one inflict upon a proprietor who may well have invested his blood, sweat and tears over many years. The family takes the brunt of the fallout, the anguish, culpability and crushed pride. This is your children’s future that is demoted, rejected and impugned by the stroke of a pen. Now, there is an argument whether the INAO were right or wrong to strip the château of its status. 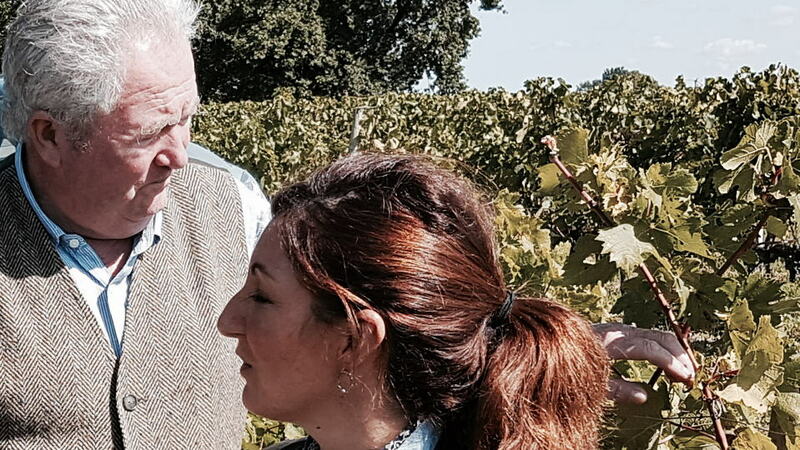 Michel Bécot ought to have alerted the authorities and sought their approval in writing before deciding what vines would constitute his Grand Vin. Certainly the way it is told, friends and colleagues encouraged their friend whilst under-estimating the French bureaucratic machine. Was the decision immediate and harsh? Why not a grace period to reconfigure the vineyard? Perhaps it was the percentage size of the expansion, some 85% of surface area that persuaded the INAO to take action, fearing that it would set a precedent. Before researching this article I suspected Michel Bécot of naivety however, upon examining the vines and discovering the reputation that Trois Moulins enjoyed in the 19th century, I understand why he saw nothing untoward blending fruit from this vineyard into the Grand Vin. I will not even enter into discussion about the acquisition of less “desirable” parcels that are secreted into Grand Vins in the Médoc, all perfectly legal, with nary a word mentioned about any possible deleterious effect of quality or change in status! I guess at the end of the day: rules are rules. The vertical tasting suggested that the wines of that period did not achieve the quality level where one could accuse the INAO of committing a travesty of justice. You could even spin it in a positive light and argue that it served as a short, sharp shock that prompted Beau-Séjour Bécot to pull up its socks, commit to improvements and thereby ensuring its reinstatement as a Premier Grand Cru Classé in 1996. Interestingly, speaking to Juliette and Julien, there is a reassessment of what they can achieve, raising the bar in their own minds. Consider the location of the vineyard, to wit, one of the best in Saint-Émilion. 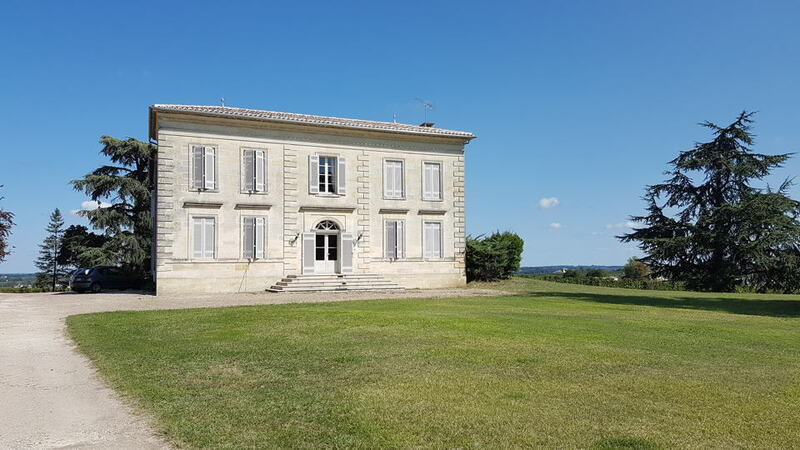 It is not unrealistic to suggest that Beau-Séjour Bécot ought to aim its sights competing with Canon and Figeac as contenders to expand the Premier Grand Cru Classé “A” at some point in the future. We will see what the next chapter brings. Whatever it is, I feel certain that it will taste good.